Though sales of paint-by-number painting kits peaked in the 1950s, most people have encountered examples of this early trend in DIY — perhaps at a yard sale, or in domestic displays assembled by those with an abiding love of kitsch. 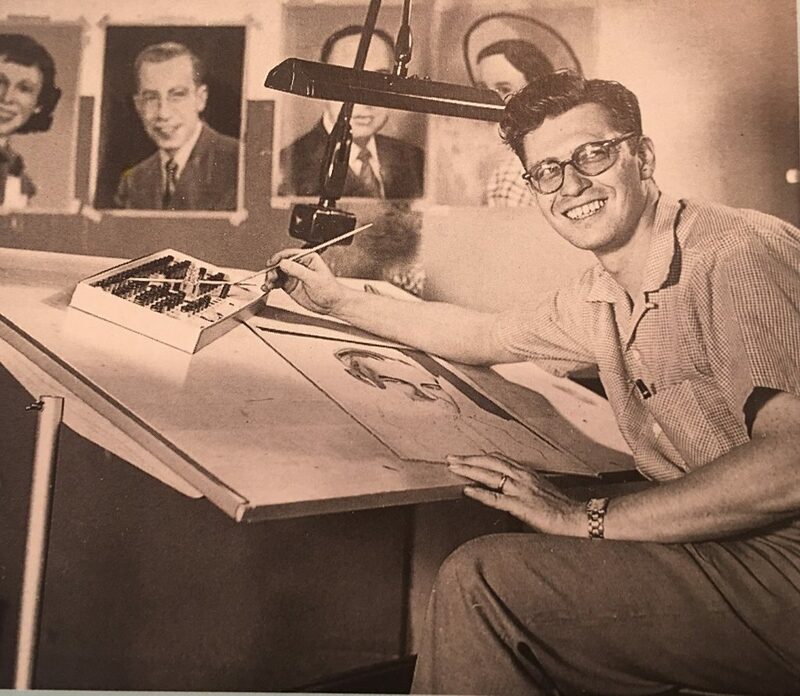 Devotees of the now highly collectible genre will know the name Dan Robbins, and mark with sadness the passing of this inventor, who came up with the idea of paint-by-number while working as a package designer for the Palmer Paint Co. in Detroit in the 1940s. Robbins passed away on April 1, at the age of 93, in Sylvania, Ohio, and is mourned by his surviving family, including wife, Estelle; sons Michael and Larry; and several grandchildren and great-grandchildren, including his granddaughter, Ann Arbor writer and editor Sarah Robbins.